Elizabeth Siddal was the muse of many Pre-Raphaelites but foremost Dante Gabriel Rossetti, who eventually married her after ten years of engagement, several times broken. 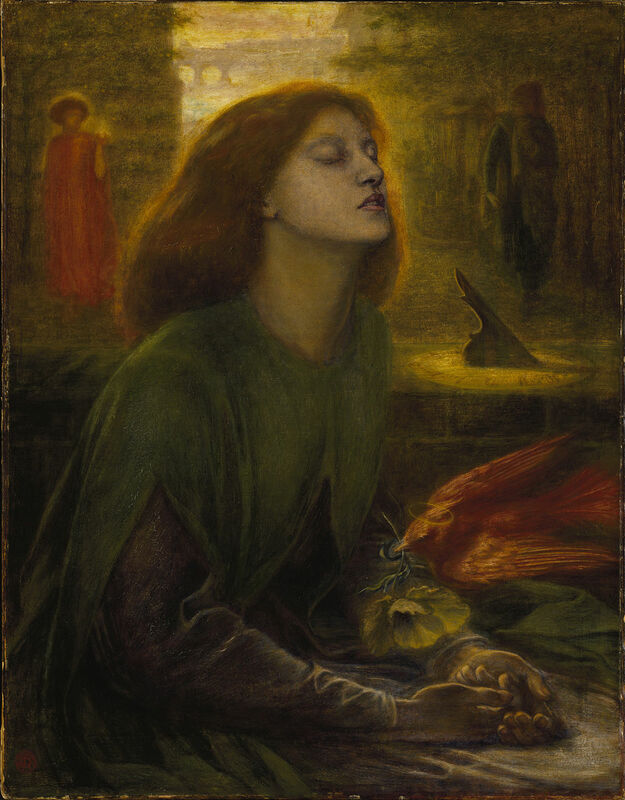 Tragically, she overdosed on laudanum, leading Rossetti then to produce one of the greatest Pre-Raphaelite works, Beata Beatrix, based on Dante Alighieri’s beloved, Beatrice, at the moment of her death. Rossetti’s love for Siddal seemed to have waned somewhat, but he did make her immortal through art. This entry was posted in art and tagged art, pre-Raphaelite, Rossetti. Bookmark the permalink. She is one of my heroines, may she rest in peace! Such a tragically ending life – but she is so sensationally immortalised in art! I visited her grave in Highgate Cemetery some years ago.